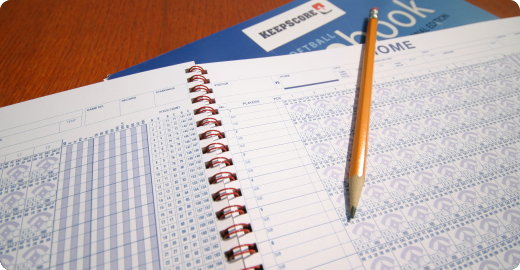 The KeepScore Baseball Scorebook is the most comprehensive, versatile and easiest-to-use baseball and softball scorebook available anywhere. The KeepScore system is the game’s standard for detailed record keeping, replacing all other antiquated scoring systems, and it can be used for all age and skill levels. Coaches, statisticians and fans everywhere will love its accuracy and versatility. 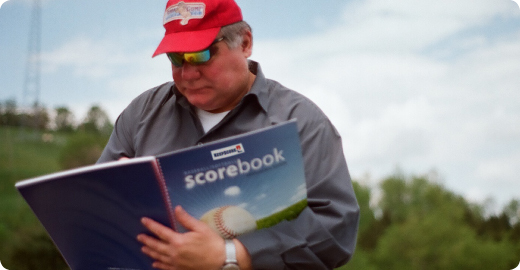 The KeepScore Baseball Scorebook will provide hours of intimate involvement for the entire family all the way to the bottom of the ninth. Measuring 13” X 12”, it contains larger score sheets for 24 games, that are packed with easier-to-read diagrams and more statistic categories, including a unique rolling pitch count. The pitch count has become an important component of today’s game, both in the majors and for youth baseball. And KeepScore’s rolling pitch count has added features that enable scorers to track batters faced, end-of-innings and pitcher changes. Also included are 24 perforated line-up cards and a basic intuitive how-to page. 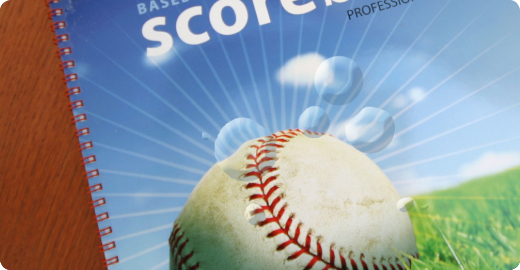 The Scorebook’s covers allow for extra lap-top rigidity when scoring at the ballpark, and they guard against moisture and sunlight with a special UV barrier coating. Everything is held together with a rugged wire binding. The Scorebook also offers 12 full innings of scoring, because so often extra-inning games go beyond 10. The book also allows for up to 45 batting positions, which enables scorekeepers to write in multiple substitutes during any given game, without having to use extra sheets. The vividly colorful customizable front cover also can be imprinted with a team and sponsor logo, as an option. The inside front cover allows for customizing with sponsor advertising, a team history or an organization’s description. And optional perforated sponsor coupon sheets can be tipped in to provide additional value to fans. 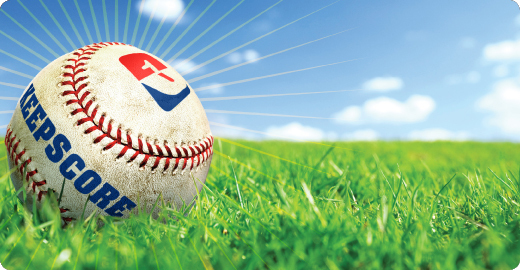 Before you head out to the ballpark, make sure you have ALL your equipment…ball, cap, glove, bat…and your KeepScore Baseball Scorebook. Swing for the fences…and always KeepScore!